Ranger Design Fleetline Shelving is the best quality and quietest Steel shelving on the market with a price that is very affordable. Choose from the finishing details Ranger Design has to offer to tailor the upfit to your specific needs. So you want the toughest, quietest work van shelving on the market & you need to optimize payload without sacrificing quality? The best option on the market is Ranger Design Proline Aluminum Shelving. Attention To Detail offers 2 lines of Work Van shelving. The Proline is an Aluminum option to save on weight and be one of the toughest options on the market. The Fleetline is a better quality and priced option than other steel products on the market. It is tough and quiet to last a very long time. Come by our showroom to see the differences and get a quote. 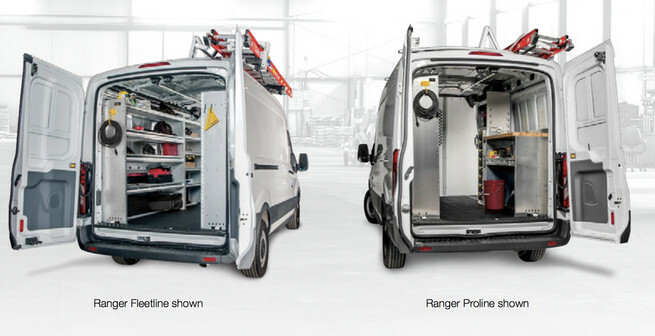 Maximize Cargo Capacity & Vehicle Performance With Contractor Grade, Organized Storage Systems from Attention To Detail.